Let's get straight to the point with this post. 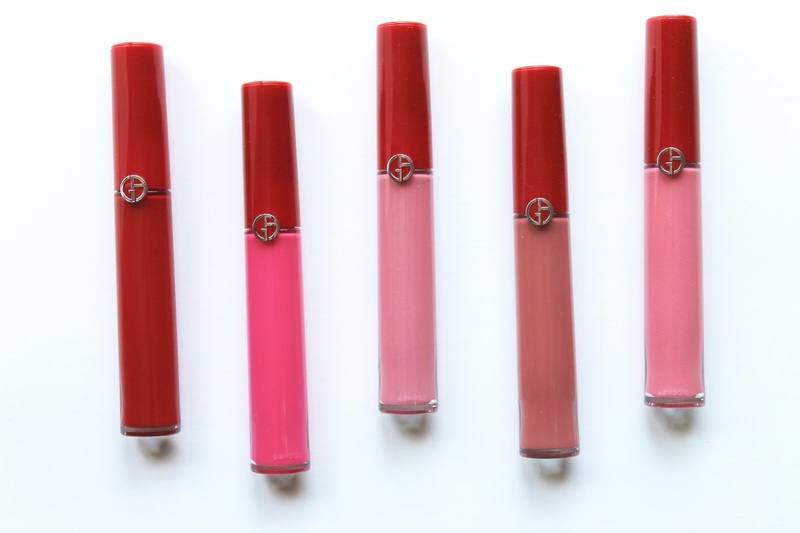 If you've been watching my videos recently (subscribe here), you'll no doubt know how I've been finding every possible excuse to mention the Giorgio Armani Lip Maestros. As much as I want to be - and absolutely love the look on others - I find that whenever I make an attempt to wear a full-on liquid lipstick I end up looking like a deflated balloon. They dry out my lips and the color becomes patchy much faster than I would like it to...needless to say I've sacrificed longer wearing lippies in favor of a more comfortable, flattering option. 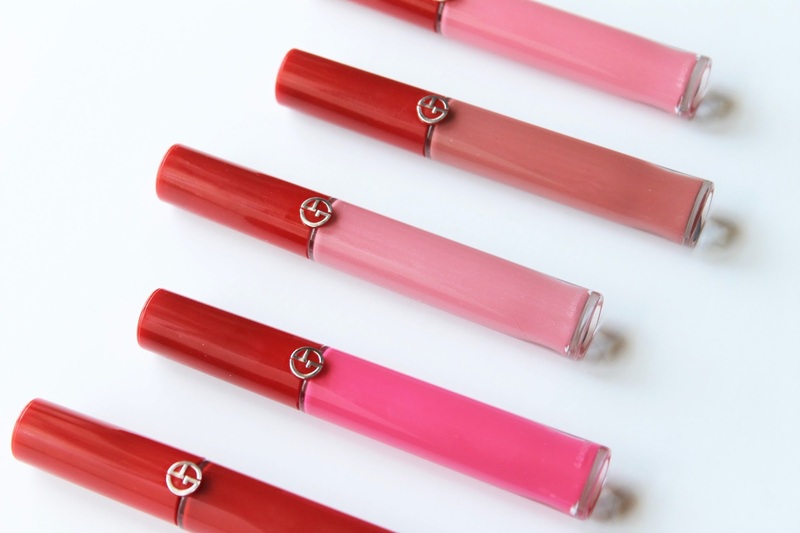 Enter the Giorgio Armani Lip Maestro, a plush and velvety matte liquid lipstick-lip stain hybrid. Basically, this is the perfect compromise for those of us who don't want to have dried-out lips one hour into wearing our lipsticks, but who still want an extremely matte and full-on lip. These wear like a dream, are super comfortable - dare I say, even moisturizing - and the color range is amazing. There is something in there for everyone, and I love the bolds just as much as I like the nudes and pinks for daily wear. I get about 4 hours of wear time with these, and they fade in the most flattering way possible - turning slowly into more of a sheer stain once the full-on pigment has worn off. This is no exaggeration, if you've yet to try these - add them to your basket now! Left to right, some shade recommendations include (but are definitely not limited to - go nuts) - 407, 505, 513, 500, and 512.